Earlier this year, I mentioned that one of my personal style resolutions was to start taking better care of my clothing and to use alternatives to dry-cleaning whenever possible. I still dry-clean my suit separates and some of my nicer dresses (and am still a bit leery of putting "dry-clean only" labeled viscose items through the wash). Otherwise, I now machine-wash many a polyester or cotton business-casual dress that I previously thought was dry-clean only and hand-wash all of my sweaters and silk tops. 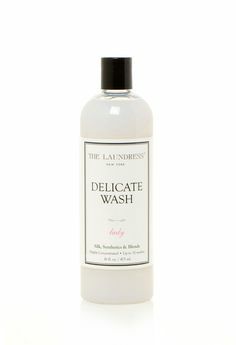 I've been using products from The Laundress for about two months now, and I thought it'd be a good time for a review. I picked up the Stain Solution and the All-Purpose Bleach Alternative to use in combination to try and freshen up some well-loved white clothes that had gotten progressively dingier over the last few years of normal machine-washing. I confess that I'm not always the biggest stickler for separating most of my lights and darks, outside of keeping red items and white items separate. The instructions recommend making a paste of the Stain Solution and Bleach Alternative and applying it to stains before soaking the item in hot water. I've used the mixture on antiperspirant stains and other marks on silk tops, cotton tees, and polyester-blend dresses, and it has done a good job with everything, with a few small exceptions. I had one cotton skirt with some mysterious stains of unknown age and origin (a previous dry-cleaning didn't get rid of the stains either), and the Stain Solution-Bleach Alternative blend wasn't able to get it out either. When I purchase from The Laundress again, I might want to buy the Wash and Stain Bar to see if it makes a difference on particularly set-in stains. For whites clothes, I then rinse out the stain-removal mixture and soak the item again in hot water and the Bleach Alternative before eventually throwing the item into the washing machine with my next load of laundry. Combining the two steps was enough to brighten up the white clothes that had gone dingy. The Delicate Wash and Wool & Cashmere Shampoo are both quite self explanatory, and I've found that both are fantastic. I haven't had any mishap yet from hand-washing rather than dry-cleaning silks and sweaters, though I'm very cautious about not soaking any of my silk items for too much longer than ten minutes, for fear of causing shrinkage (their website suggests the limit is 30 minutes). My main reason for getting these products was that I wasn't satisfied with how Woolite didn't seem to rinse out cleanly even after a soak in clean water, and I was happy to find that both these products rinse out cleanly with no extra soaking needed. The instructions recommend rinsing the clothes under running water, though I often feel like its fine to skip that step. The only minor problem I've encountered is when I accidentally wash sweaters that are primarily cotton or some other fiber with the Wool & Cashmere Shampoo. That's totally my fault because they recommend picking your product for blended fabrics based on what type of fiber is most prevalent in the blend (i.e. if wool is 60%, but acrylic is 40%, they'd recommend the Wool & Cashmere Shampoo). When I use the product to wash a mostly cotton or acrylic sweater, I've found that it doesn't wash out as cleanly and takes a lot more rinsing. For all of these items, there's a possibility that cheaper alternatives would work just as well. 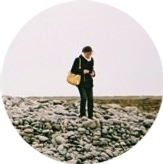 People online recommend Eucalan products for both delicates and wool or cashmere. For cleaning up dingy whites, there are tons of home remedies online, and I might have tried a baking soda and lemon remedy instead. While The Laundress products are a bit pricey, I think of them as a very cost-effective alternative to the expense of dry-cleaning in NYC. I expect each product to last me a good year and a half or more (and I'm hand washing 2-3 silk or wool items about once a week and treating 2-3 stained items about once every two weeks, so I use each product fairly often). I use their wool cashmere shampoo. I used to handwash, but I feel it's more time/energy/water efficient if I just throw it all in the washer on delicate cold cycle. No problems at all. 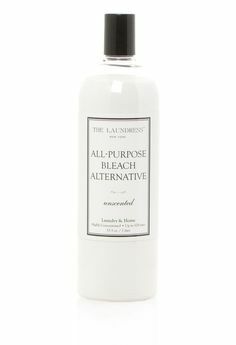 I have the bleach alternative, but never see a significant difference, I just add a bunch of it in when I wash my whites. I would definitely like to throw my sweaters into the wash, and I know intellectually that it should be fine... I remain a bit nervous about trying it up until now because of one freak experience with throwing a 100% wool sweater (a J. Crew Tippi cardigan) in the washing machine (in a garment bag, in cold water, albeit with my usual Tide laundry detergent) and having it shrink despite line drying. I can't quite figure out why that happened! In my college days I even machine-washed and line-dried many other sweaters with normal detergent with no real problems. I'll probably get my courage up eventually to try machine-washing with The Laundress wool shampoo. I do a lot of hand washing and it does take up a fair bit of energy.